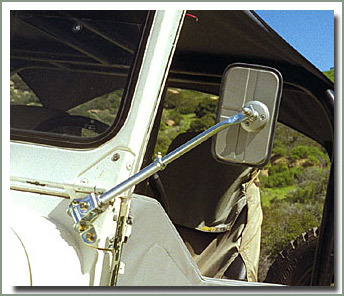 If you own a 40 series, this set up is the most popular selling mirror and arm set there is. 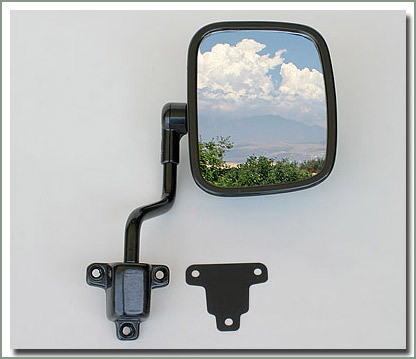 These are OEM factory mirrors and arms. 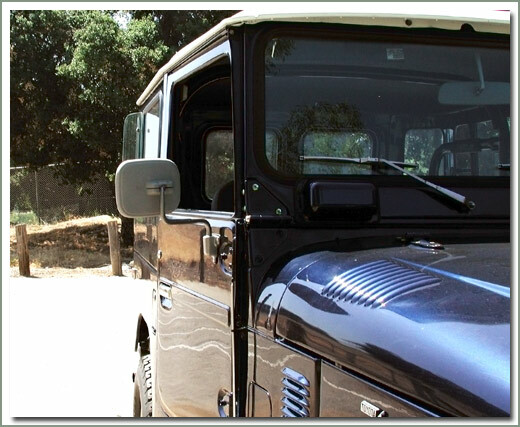 The perfect set up for those who are running with a softop, bikini top, or no top. 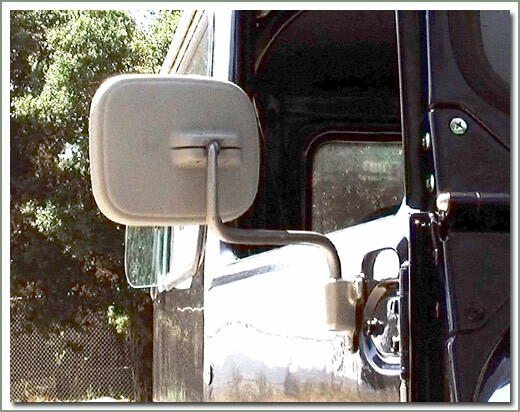 When you take off your factory steel doors you also lose the use of your original factory mirrors and arms, these windshield mount mirrors and arms are the perfect replacement solution. 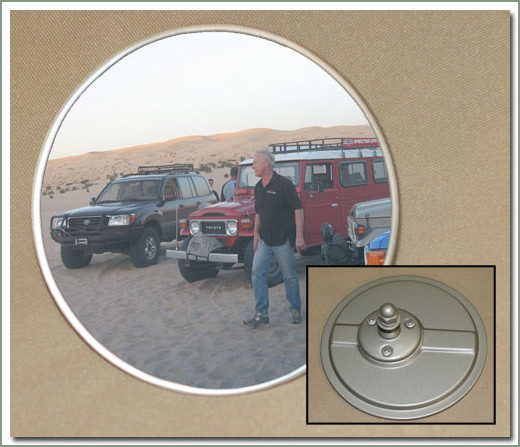 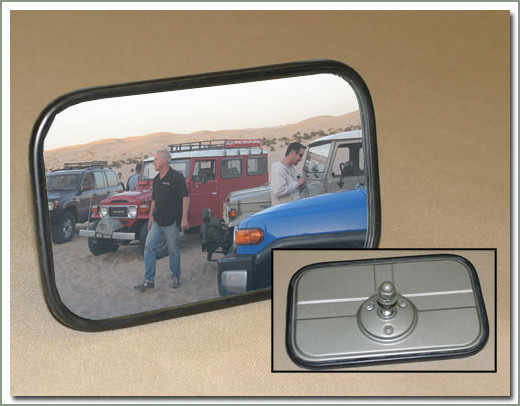 Also for those early model Land Cruiser owners who cannot replace the original factory arms due to Toyota discontinuing the part, this is the perfect mirror and arm solution for you too! 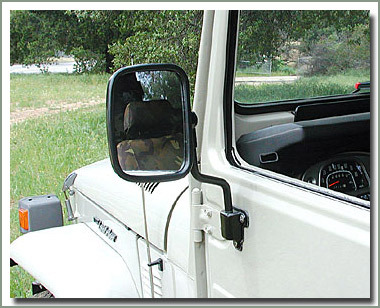 No drilling required, the arms bolt direct to the windshield hinge. 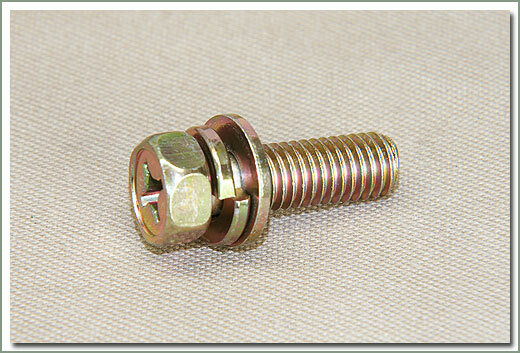 Sold in sets of one or two. 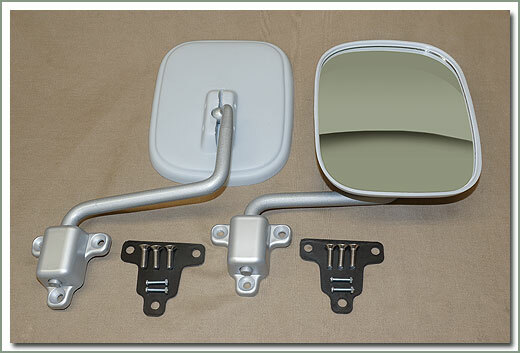 Sets include arm, mirror and hardware. 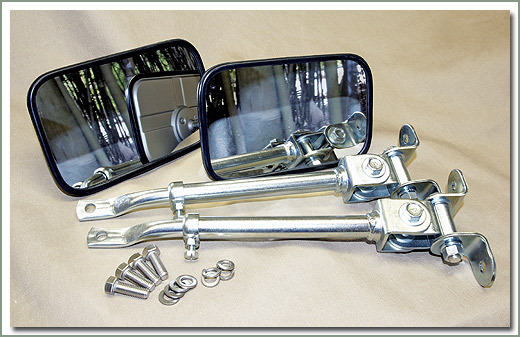 Fits 1958-1984 40 & 45 Series - Windshield hinge mount style - Kit does both sides - contains 2 OEM mirror heads, 2 OEM telescoping mirror arms, and 4 stainless steel mounting screws - Sold as a PAIR. 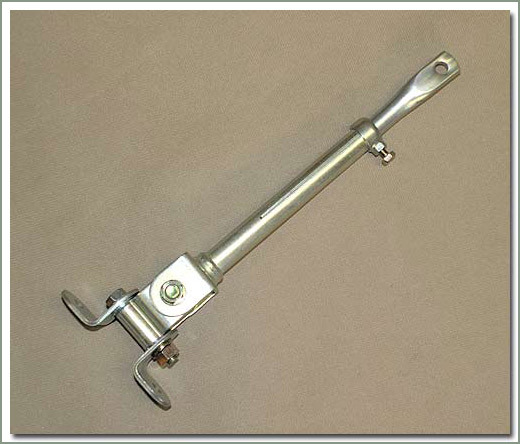 Fits 1958-1967 40 & 45 Series orignal equipment - Also fits windhshield hinge mount style arms see part #166-02A - Mirror is 4 1/2 inches by 7 inches. 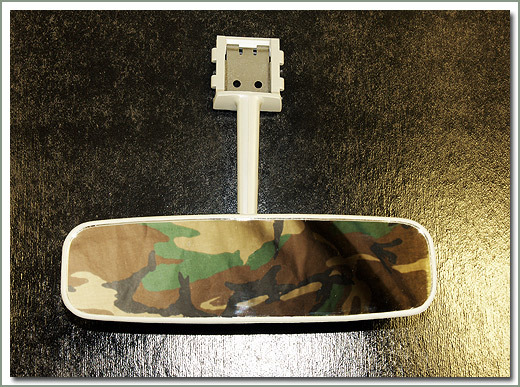 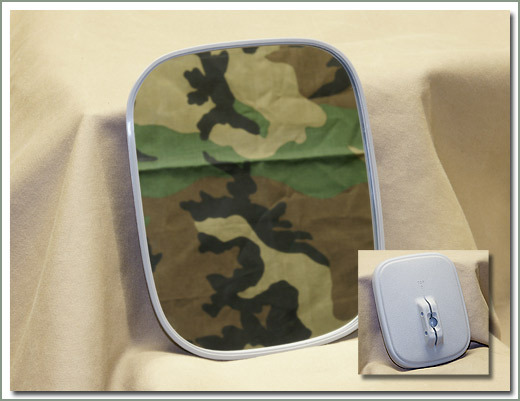 Fits 40/45 Series - Mirror is 5 1/4 inches in diameter. 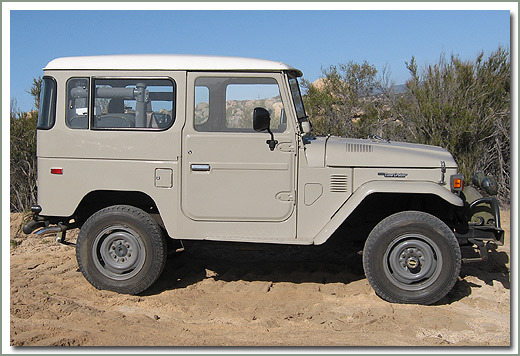 Fits 1968-8/76 FJ40. 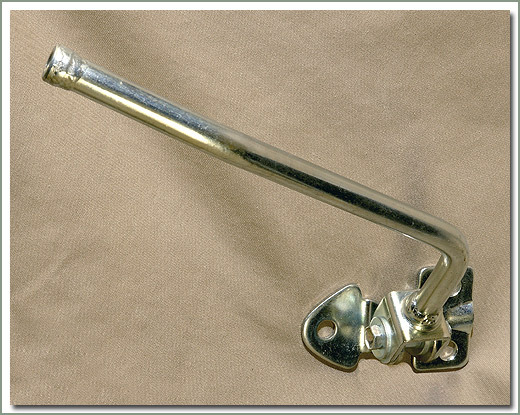 SOR Reproduction Quality Left Mirror Arm. 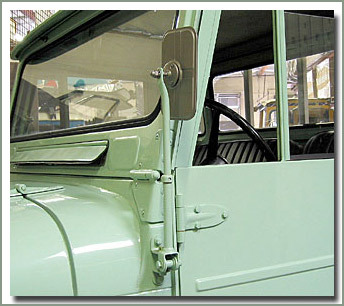 Door hinge mounted. 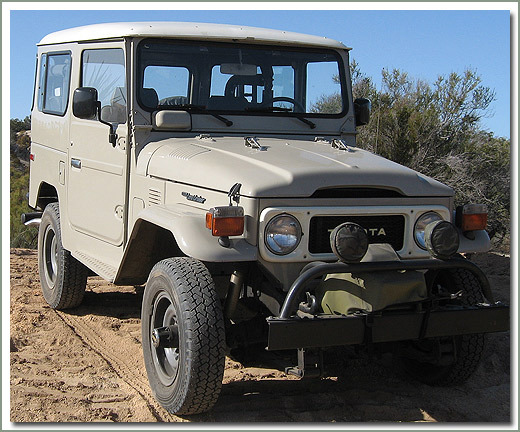 Previously discontinued by Toyota now made available from SOR. 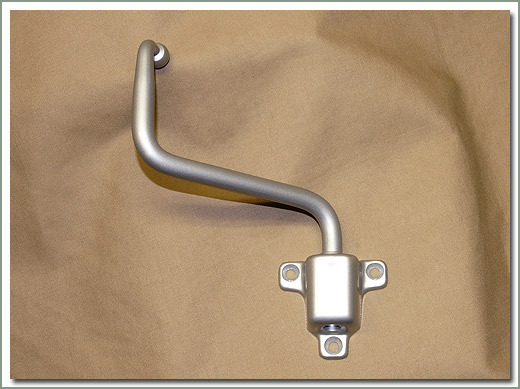 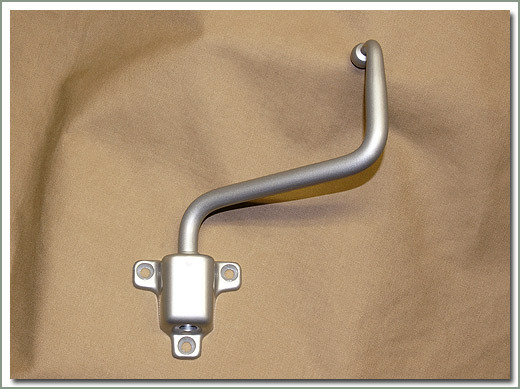 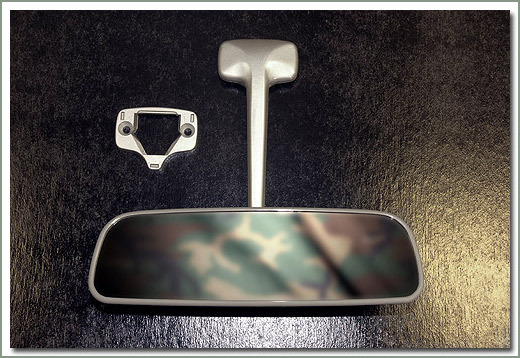 Another factory mounting option that was used on 1958-1967 USA 40 & 45 Series and later model NON-USA vehicles, mirror arm location was below the windshield hinge on the small flat side of the front body cowl, as shown in photo. 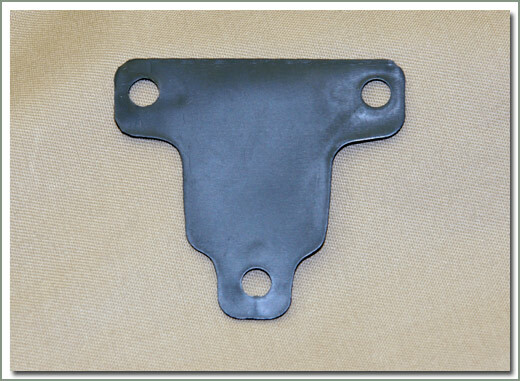 1958-1967 USA 40 & 45 Series and later model NON-USA vehicles had factory nut plate welded to the inside area for mounting, so no drilling was required. 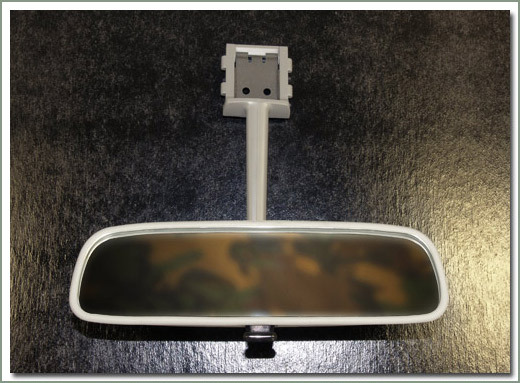 For 1968-1984 USA models you also have this option for a mounting location for the telescopic mirror arms #166-02A, but drilling is required, two holes per side. 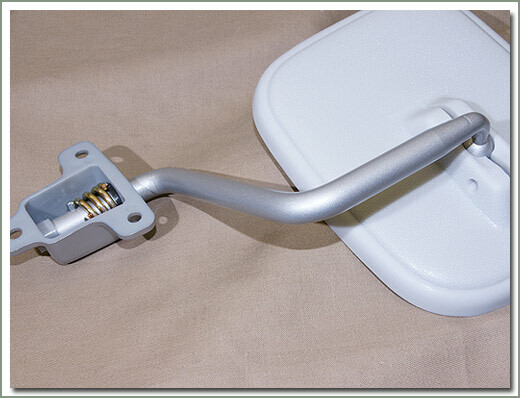 You will also need to order mirror arm side mount hardware kit, see #166-03S, order one kit per side. 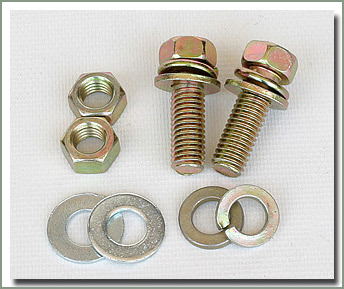 #166-03S - MIRROR ARM SIDE MOUNT HARDWARE KIT - Hardware kit includes, two bolts, two flat washers, two lock washer, and two nuts. 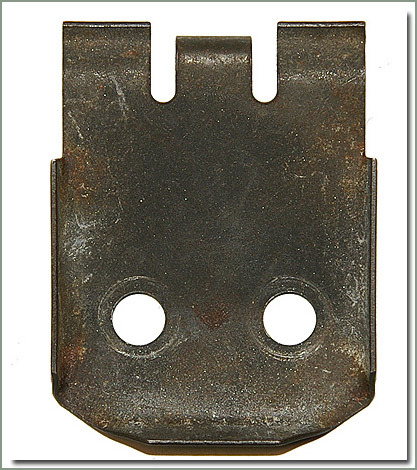 fits 8/76-1984 40 Series. 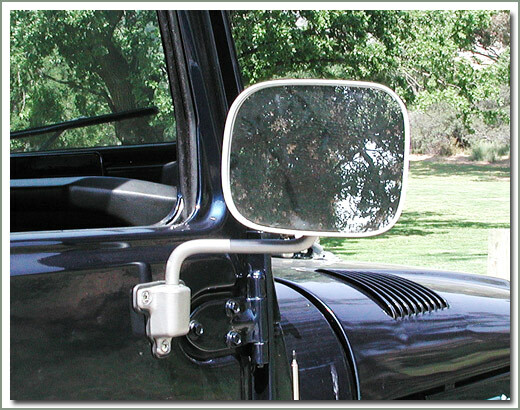 Sold in pairs, right and left side mirror head and arms, comes complete with mirror pads, and mounting hardware. 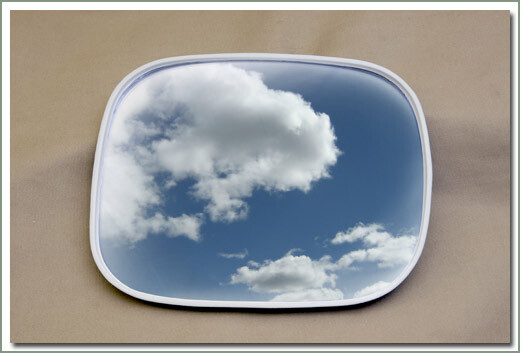 Convex mirror head. 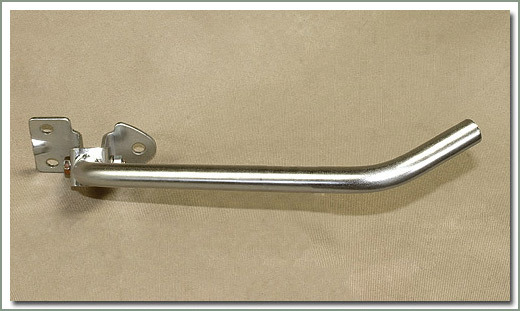 Fits #166-01E-AL & #166-01E-AR arms - Will NOT fit the OEM factory mirror arm, the ball is too large. 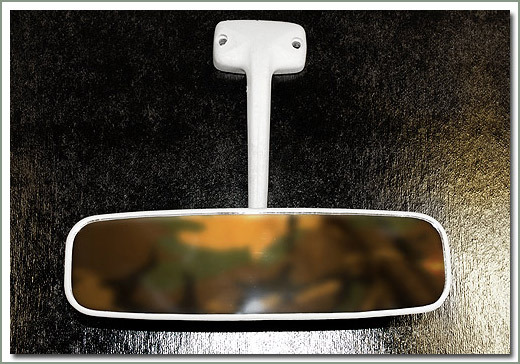 New Non-USA European style aftermarket mirror and arm set. 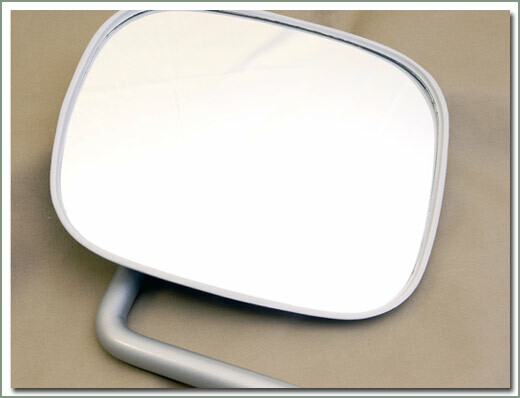 Mirrors are convex and sold complete with pad. 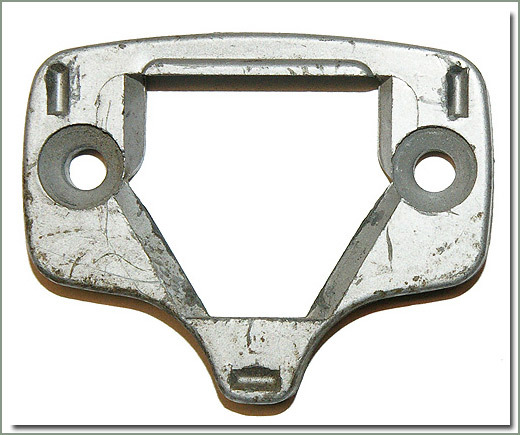 Fits all 8/76-1984 40 Series. 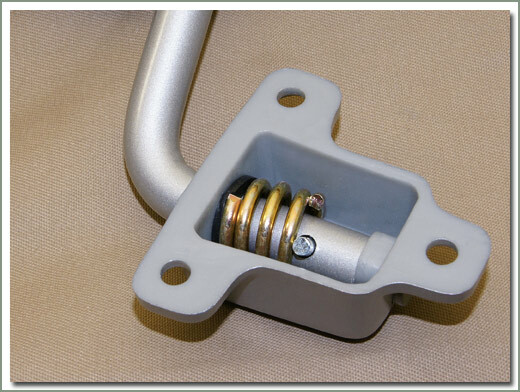 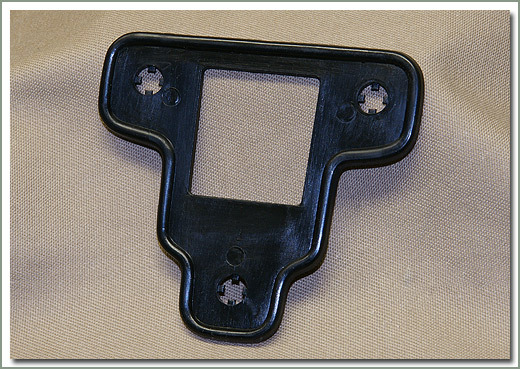 Fits 1968-9/77 FJ40/45 - Economy style - Plastic housing, has correct hole pattern, does not use factory mounting bracket. 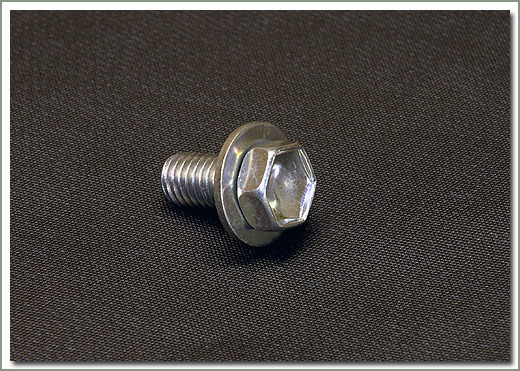 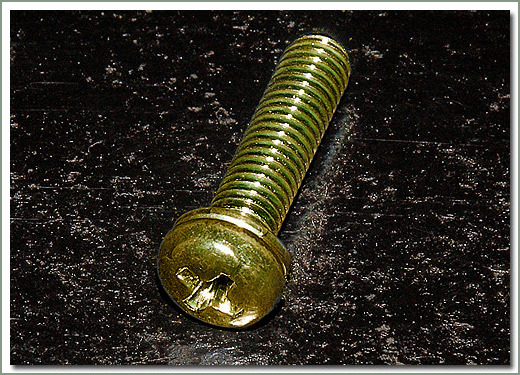 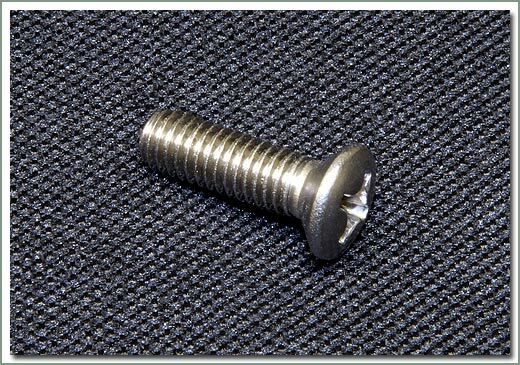 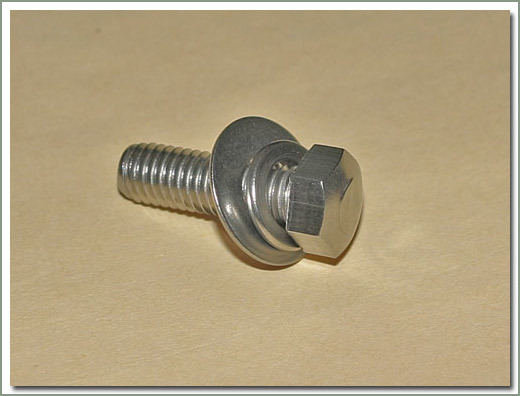 Requires qty 2 screws, order part number 166-04B-ECS screws separately. 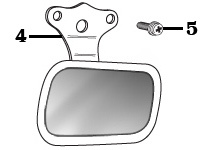 Fits 166-04B-EC aftermarket economy rear view mirror ONLY - Sold individually.